Have you heard the one about Babe Ruth hitting his longest-ever home run during a barnstorming game in Fort Wayne? The story is apocryphal — that is, there really is no way to verify the actual distance the home run traveled — but since today is Babe Ruth’s birthday and the Midwest League has a team in Fort Wayne, I figure this is a good time to tell the tale. He was here during a barn-storming tour after the 1927 season. His team was playing an exhibition game at the old League Park on North Clinton Street. Ruth belted a ball over the left-center-field fence. The story says that the baseball landed on a freight train passing through town at the time. 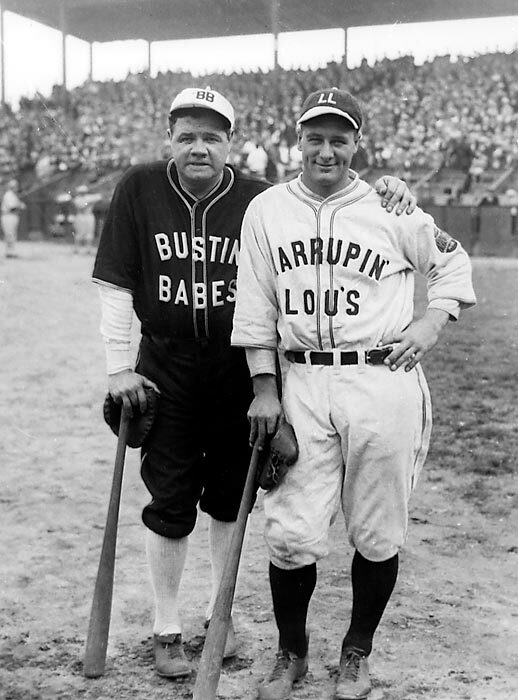 As we know, Ruth was a showman who loved to exaggerate for the sake of a good story, and I haven’t been able to track down an official (or even an unofficial) distance traveled for The Babe’s big blow, so take the tale for what it’s worth. It may be true or it may not be. I do know this: In 2007, it was determined that, officially, Ruth’s longest home run was hit during an exhibition game at Wilkes-Barre’s Artillery Park. It supposedly traveled 650 feet. You can read more about that here. 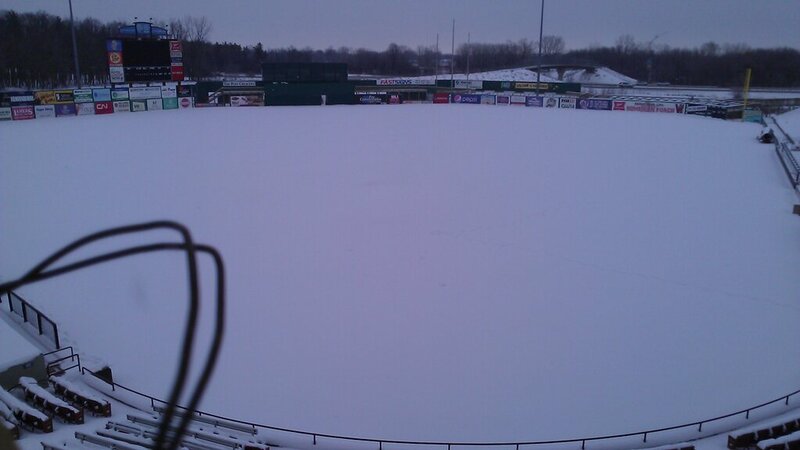 The Wisconsin Timber Rattlers tweeted this photo of their snowbound stadium today. This is a view of the snow-covered field from the new club level seats installed at Fox Cities Stadium this offseason. For the latest on the ballpark renovations in Appleton, go to Rattler Radio. This entry was posted in Dayton Dragons, Fort Wayne TinCaps, Kane County Cougars, Midwest League, Peoria Chiefs, snowbound stadiums, Wisconsin Timber Rattlers. Bookmark the permalink.